The Barangaroo Delivery Authority in collaboration with the Sherman Centre for Culture and Ideas (SCCI) has unveiled a major installation designed by award-winning Vietnamese architect, Vo Trong Nghia at Exchange Place, Barangaroo. The recipient of seven World Architecture Festival awards, Vo Trong Nghia uses natural materials to 'green' dense urban areas. Part building, sculpture and installation, the work serves simultaneously as a garden, and as a sanctuary. 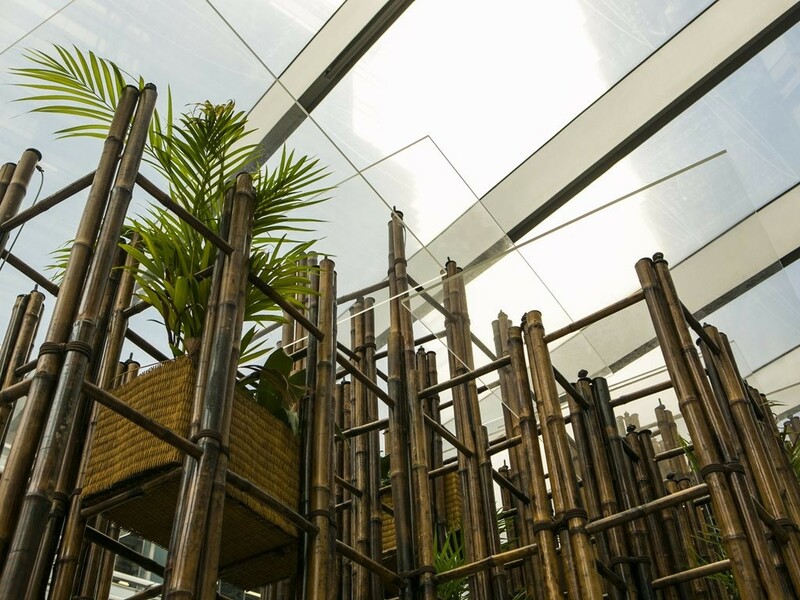 The innovative use of 'green steel' (bamboo) and a range of natural materials aims to reintegrate nature into dense and denuded urban environments. Viewers and passers-by are encouraged to sit, reflect, relax and enjoy the contrast to their everyday busy lives. Founder and executive director of the Sherman Centre for Culture and Ideas, Dr Gene Sherman says, "The work demonstrates Nghia's innovative use of bamboo, and his passion to green the world's expanding urban landscapes with plants and vegetation." "He pushes the limits of a strong, lightweight and highly sustainable traditional building material. He aims to increase biodiversity and to reconnect city dwellers with the natural environment," he says. Following Green Ladder, the inaugural commissioned collaborative project will be a temporary pavilion located in Barangaroo Reserve, with the commissioned architect to be announced in October 2018. "Our ambition is to deliver a distinct and unique voice within the broader programming and events landscape in Sydney and Australia, animated through creative and engaged partners, such as the Sherman Centre for Culture and Ideas." Moving forward, Bender says that, "Our partnership with SCCI in the delivery of Barangaroo Structures will provide an opportunity for our visitors to explore emerging architectural ideas with innovative sustainable materials while enjoying this spectacular new foreshore location."